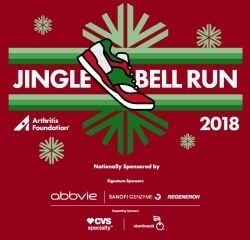 For all participants, registration includes long sleeve t-shirt, jingle bells, bib (chipped for runners, unchipped for walkers), 1 Jim Beam JBR signature drink or 1 hot coco, coffee, juice, and muffins from First Watch and a Pizza Finish Line from Papa John’s Pizza, meet and greet with Santa and some of his friends, endless fun (until noon)! Long sleeved fancy/sporty tech shirt, timing chip, finisher medal, comped parking in COSI garage, express packet pick up, access to the VIP Tent, VIP gear check, 2 drink tickets, and an increased donation to our mission! TEAMS: Any team that raises $5000+ before the race will earn a Team Tailgate, decked out with goodies! All team members will also have access to gear check and will receive a swag bag. INDIVIDUALS: Click here for recognition items. Nope. This is a fun run for anyone with all the bells and whistles serious runners are looking for. We welcome both the serious runner (our course is USATF certified and medals are given to the top 3 male and females in each age group) and to anyone who just wants to have fun. Run, walk, or wheel; however you want to jingle. 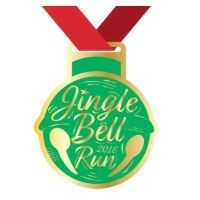 A link will be emailed to all registered jinglers post race!